Here’s the deal. 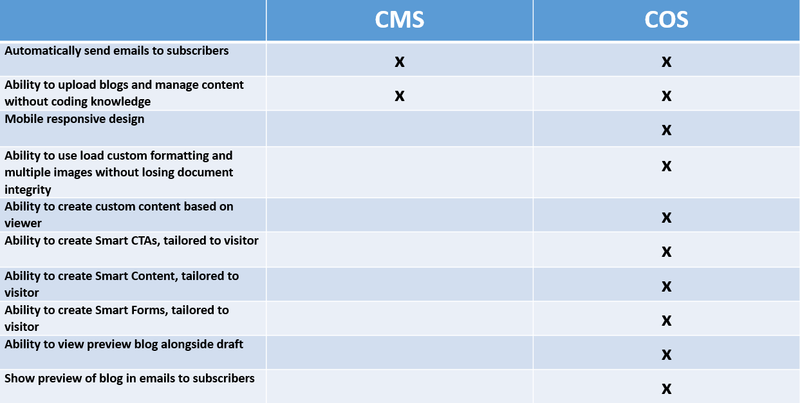 HubSpot came out with a new Content Optimization System in late 2013 to replace the Content Management System (CMS) that most of us use to post blogs and manage content. 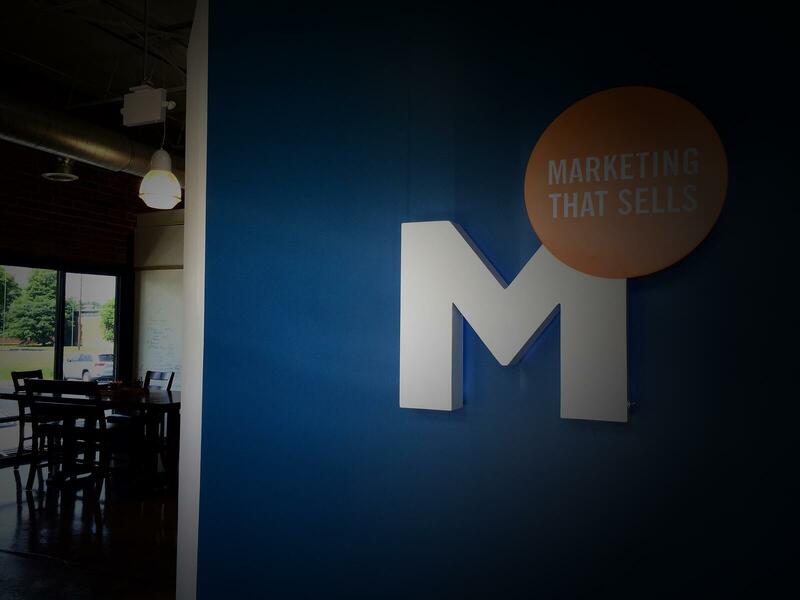 New HubSpot clients were automatically put on the new system. The rest of us will be migrated on a first-come, first-serve basis. My hope is that persistent HOUNDING will accelerate the process. 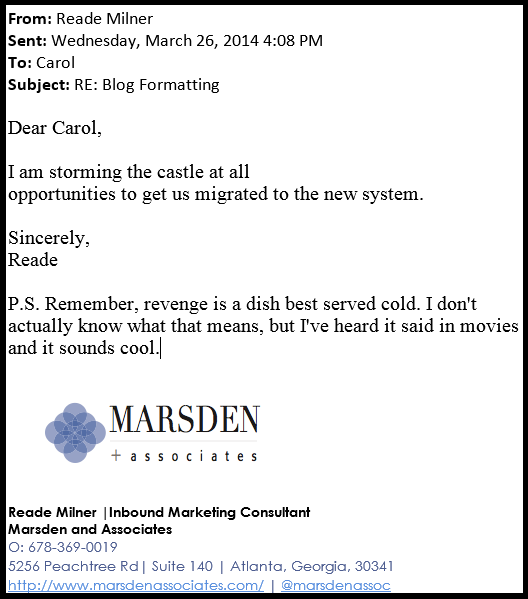 Apparently our Creative Content Director agrees with this strategy, only she is hounding ME. It’s not easy being green, or blue, or red, or….any other color or custom font size, etc. under the old CMS. Sometimes things load beautifully, but often the document integrity falls apart and a 30 minute scheduled upload can turn into 1.5 hours of formatting hell. The new COS solves a lot of the coding issues that emerge when you try to load a blog post with multiple images and multiple font sizes and types. For example, formatting the multiple images in this blog nearly made me want to break my computer. The visual appeal of a blog through images and layout can mean the difference between prospects choosing to read your blogs now or skipping it. 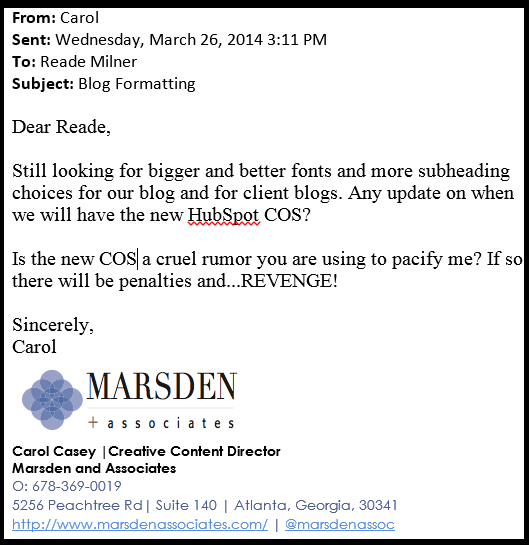 I am looking forward to the versatility the new HubSpot COS will give us and our clients. We will be able to up the ante on blog visuals and layout without the frustration and additional time. For an update on our progress on the COS, sign up to receive new blogs by email each week.